That is the 2nd stanza of our national anthem. It’s a wonderful prayer that have been written in many social studies texts, read on many school assembly grounds and the words have been neatly tucked away in government literatures and history books since the ‘60’s. I believe God of creation is well and alive ever since and will yet be tomorrow and ever more but many generations have come and gone and even our own generation has come and will go, but as long as Nigeria remains one entity, this anthem will continue to be sung. There is a part of scripture which says “the letter (words) kills but the spirit gives life. There is deadness in any letter or words except the spirit quickens the reader to see beyond the letters into the passion, purpose and mindset of what those words carry. The last part of the stanza read “to build a nation where peace and justice shall reign”. This part is a summary of the desire expressed in the beginning and the middle – a desire of which we beseech God to grant Nigeria. But I really would want us to understand something about desires and realities quite well. Take for example, you desire a car (you do not have one at the time), a particular model (Honda Accord). You have a job but realized that it is not possible within a few months to get one (you do not want to take a loan, more so it is not easily accessible (save for bankers…lol)), so you get the price of the car from a dealer and you were told it would cost N1.2million. Then you sit down with your paper, pen and calculator and decide that in order to realize the dream of the car, you will have to save towards it from your monthly salary. So, you write out your salary and subtract some fixed monthly expenses and try to get as much savings as possible by cutting down on some other expenses which are good but for which the desire for the car has overtaken. Thus you have the plan and you are ready to roll with it. So, let’s say you manage to save N50, 000 every month (the possible savings would depend on the salary range of the individual concerned) , which means you will need to consistently save for 24 months in order to get N1.2million which is the cost of the car. You then begin to save the money while closing your eyes to some things which beckon in the shops and try to turn down some invitations to parties which you know will make you spend unnecessarily or make commitments which you are not just ready for. This period is a big test on your ability to stay true to the plan of achieving the car. It’s a test of how-badly-you-want the car. If you are faithful to the plan, at the end of the day, you will be able to write a cheque to the dealer and have your car delivered to your house. All the necessary documents transferring the ownership to you will be provided and the car will now legally be yours. You will be proud and happy, won’t u. Oh I will! This sort of desire-plan-execute-actualize method of achieving a goal is applicable to any goal be it building a house, setting up a business, taking the business to a higher level, getting an education or nation building. I will quickly add that in the car example made earlier, there might be unplanned events within one, two or three months that might affect the fulfillment of the savings for those months. So, this should come into the plan. It’s a probability but it may or may not happen. This possibility should be worked into the plan to ensure that the nothing stands in the way of the desire to own the Honda Accord. Plan ….do we have a plan as a people to achieve this desire? There is none whatsoever (or maybe I don't know about it). In all these years we have this desire but we never came up with a plan like when we desired to buy a car or build a house or marry our sweethearts. A desire is not wishful thinking. We need to know how much national peace and justice will cost. Since we can’t put a price to it, we then need to list a few things that can make it happen. The difference between the car example and national desire is that the first one involves one person but the latter one involves a whole lot of people with various backgrounds – ethnic, religious, tribal, beliefs, etc. In order for peace to happen, there has to be a large number of citizens empowered and enlightened about this desire and the benefits – security, tranquility of mind in plenty or in want, faith as opposed to fear, concentration of body, soul and spirit. In obtaining justice, a key requirement is that leadership is gotten right and the people understand what justice means (not selective or partial). The truth of the matter is that the situation in Nigeria at this point in time is not that of celebration, frivolities and parties but that of sacrifices and sweats which are required to lay the foundation required to make every other desire achievable. I am in no way saying you have no right to enjoy what you have worked hard for but how easy is it to “really enjoy” in an atmosphere of uncertainties and insecurities as we have had in Nigeria in recent years? Would you not rather want to work hard and spend your money however you want without fear or favour? I very much would like that but I am realistic, Nigeria is not safe. Many live in fear of one thing or the other. When I became a mother, I began to understand what living sacrificially means. A mother gives up some certain privileges just so that the children can be well provided, nurtured and catered for. I understood this also when I visited a friend when she had her first child. She told me how she has started thinking ahead of what she will need to cut down in order to have more time and resources for her little one. She told me how much she appreciated her own mum and other mothers more. This act of sacrificing goes on until the child is able to physically take care of self but goes on even in the aspect of emotional, spiritual and moral guidance, growth and development. If as a young mother, I look at an older woman whose children are all grown and thriving and I try to do what she does, what do you think will happen? My little child (ren) will suffer as I will not be paying the special kind of attention and care required on infants/toddlers. I have drawn this analogy to help us see what our situation in Nigeria is. We are a young mother (developing nation) who is trying to envy older mothers (developed nations) whose children are fully grown. We want to party, dress like, eat like, speak like, and have abandoned fun like the older woman without considering the huge responsibility of nurturing our child (ren) to a level of independence and later on of inter-dependence. Such a well trained child will make us happy and proud as older mothers. But so many young Nigerians do not quite understand this position and are unwilling to make the sacrifice that is required to nurture the young Nigeria which at the moment is even very sickly and on the deathbed. This sickness is due to lack of care by the older generation of mothers, fathers and caregivers. They abandoned the sick child and went a-frolicking with the child’s inheritance while the child lay dying on the bed. We need to understand that in order to build a nation where peace and justice shall reign (these two values are requirements for success and prosperity), we need to make some sacrifices of time and resources as much as lies in our power. When there is peace, there will be security of lives and properties, young men and women will have adequate peaceful mindsets required to bring our their innate creative energies, corruption will be unnecessary and will be a taboo (frowned on by everyone in the society) and it will not be required to waste endless amounts of public resources and time to fight it. Such resources would well be channeled into providing better infrastructures for the citizenry. The health sectors will be well equipped to care for the people to ensure the well being and wholeness which is necessary for one to contribute one’s best to one’s society. Also, contracts for road construction and maintenance will be awarded to companies which have demonstrated competence and consistent quality in previous works. There will be a means of checking the quality of such works. The level of commitment in every individual will be such that is responsive to others within the community they are. There will be deep understanding of the connection between the quality of work done and the lives of our people by everyone – contractors, government officials, public workers, private workers, market women, security personnel, school boys and girls and just about everyone in the nation. How badly do we want change? What are we willing to sacrifice for it? I have heard many of my colleagues, friends, neighbours, relatives express a desire for a better society but many will not even leave their comfort to register to vote in an election (which holds once in every four years!) talk less of voting. Such people will see people who are clamouring for “occupy Nigeria” as fools who don’t love their lives yet they will say with their mouths they want change so much. Many young persons will accept bribes yet complain of corruption in government offices. Many young people will close their mouths tight when issues that affect EVERY Nigerian are being discussed. Some think to themselves “babes don’t get involved in such issue” or “real guys go to clubs, parties, hang outs and generally have fun”, yet the roads to the clubs are filled with holes many of their friends have lost their lives on them. Some have been robbed while coming from such places in the night. Some female bankers have been traumatized by incidents of robbery in the banks they work in (one such event happened last week in Sagamu involving three banks – Skye, GTB and Diamond banks) yet they go about their banking business the very next week (the banks are still under lock and key as at the time of publishing this post) still doing “babe” and thinking to themselves “God help us” and “let others (the men and other willing women) handle the issues”. Well, I’m sorry this is everyone’s business this time. The banks and other organizations where you and I work are located right here in Nigeria where the security issues are prevailing every single day. There is no protective covering for anyone as long as you are in this country; we are all in this boat together. Many emerging young middle class individuals now think to themselves “once I’m able to build my mansion in Lekki (or any high-brow area in any city), I’m free from the ills of this society”. You wish….., that’s self deceit and living in self denial. What if they actively join in campaigning against bad leaderships (except they themselves and their families are the bad leaders in the first place)? What if they join in empowering other less privileged Nigerians through sponsoring through school or helping to rehabilitate some infrastructures which make learning and life conducive for such people? What if they form town hall meetings where they seek out practical ways of impacting other lives apart from their own (not of their neighbours who already have as much as they do)? What if…..? There are so many what ifs that we can all ask in order to pursue the desire for a better nation. These will form part of the plan to achieving the vision “to build a nation where peace and justice shall reign”. This is in line with a popular saying “Know ye not that there cannot be peace in the hood when thy neighbour hungers? Know ye not that thy neighbour’s peace is thy security?” This is well understood by the Europeans and the Americans. The problem we contend with in Nigeria requires many people who are aware of the deception (and conspiracy) of the older generation of leaders and who will be willing to spend time and resources to enlighten and educate those around them about it and about the solution. This is part of the plan y’see. If we work dedicatedly towards the next election (2015), we might have been able to save just about enough to secure the desire of peace and justice (in the form of quality and visionary leadership). The aim of this write-up is to help us to see beyond ourselves and our social, financial, family and sexual status regardless of highly or lowly placed we might be and for us to begin to seek out ways to join in the crusade for a new Nigeria where everyone can be safe enough to enjoy the labour of their hands in peace and tranquility of mind. You can’t afford to be an onlooker, I must say to you. The New Nigeria is possible and the dream will be achieved faster if you join in on the campaign train wherever you are. Remember that God will not come down to save the money for the car, that responsibility is solely yours (the one who needs it). God bless you and God bless Nigeria! Indeed Mary, you have said it all. We can't afford to be onlookers, enough of emotional outbursts at every injustice or inappropriateness we witness by our so-called leaders or fellow compatriots. Enough of the prayers and self-pity, enough of the "e go better" slang we all chorus. We all need to take action and start speaking out, because it is only by doing so that we can build a nation where peace and justice shall reign. Well done Mary, keep on speaking up. Now you open another vista to thought, we ought to put on our thinking caps in order to make this comparison. but you have put forward a type of critique that we were not thought at school. We have been groomed to seek first the certificate and then the job, and then all the goodies of life would follow. Thanks a lot. Great piece. Great analogy..so well expressed with a depth of emotions so to speak! The situation is very critical! Nigeria is fast becoming endangered!! And we should have seen it long coming!Hardly anything has gotten better, instead the situation has become critically worse in alarming proportions of magnitude!The way out of a seriously complex maze is the same way through which one entered and so we must retrace our steps..go back to the drawing board and get our acts together..the foundation is already weak and so we cannot afford to build on the old, lest it gives in and crumbles, the bottom already rotten and eroded away! A new foundation based on carefully thought about plans, goals, values and ideologies hinging on who we are where we are going and how to get there .. with commitment ..focus..drive..and purpose will begin to set us along the right paths! For too long has UNRIGHTEOUSNESS dwelt in the land..now is the TIME for RIGHT THINKING and RIGHTEOUSNESS to prevail.. Thanks kemi! You can imagine that a lot of young people go on vacation outside the shores of Nigeria, if they will realize that they still haveto come back to, 'where things don't work', they might begin to see differently and participate in the cause of making it 'one that works'. It requires sacrificing time, efforts, resources, intellect, goodwill for the benefit of all and more importantly for posterity. David, thanks! we've got a lot of work to do. The earlier we get to it, the better. 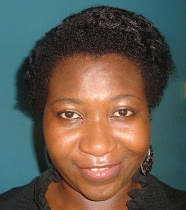 Sis Enny, we are living in perilious times in Nigeria and d earlier a large percentage of us see it, the better. A better Nigeria is possible but it requires a lot of work. Thanks ma'am. 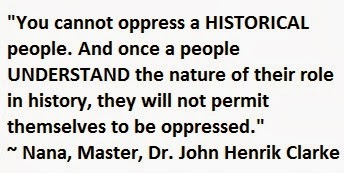 Nice one... unfortunately majority of Nigerians don't even remeber the national anthem... Hopefully one day, they will. Amen. Mary, you spoke the heart of the few who are wholeheartedly longing to see a new Nigeria. The path way is what you have asserted on. Good job!. One major problem is our pedagogy. The system and strategy by which life instructions are passed from one generation to the other is very egregious. Parents simply teach the young ones to "escape the jungle" of the Nigerian society by making money and living apart. Apart from what? Keep the work going darling. Mary, this is a well thought-out piece. I quite agree with making collective effort as Nigerians to get us there - where reign of peace and justice exist. However, sacrifice can only thrive in an environment of passionate giving which may be in terms of money or effort. The question now is - How many of us derives pleasure from giving? How many of us don't attach conditions to giving? We need to be passionate about giving (individual or corporate)so as to create an enabling environment for us to achieve our dream of a better Nigeria. Let's lift the various suggestions from the page of this write-up for implementation. Thanks Mary for the effort in driving this dream. Mr. Adeyinka, live apart from who? I think that has been our problem, we see ourselves apart from our brothers and sisters and think to ourselves let me just be comfortable and every other person can die for all i care but look at the developed countries, they truly care for the well-being of every of their own not just because they are brothers and sisters from a mother but they see themselves as universal brothers and sisters. We need reorientation in this light. The reason why we are together in this common space is not to live apart but together. Nelson, the bigger question that we should ask is "how badly do we want change from what currently obtains - insecurity, fears, robberies (night and day), large scale unemployment, kidnapping, hunger, poverty, maternal and child mortality, etc -? Or don't you think so? We can learn to do the needful when we get tired of status quo except like I said in the post we are the people behind the bad leadership or perhaps members of our family are. Let's invest (save) some time, resources to develop others and even ourselves to think away from selfishness, over-inflated superiority complexes, show-offs (unnecessary) and leave aside all the sentiments (religious, ethnic, tribal) which have kept us down all these years. i indulge u to join in htis campaign in your area today. The new Nigeria is possible and whether anyone likes it or not, the change is pervading our space brick-by-brick. Food for thought...and I m thinking. Bless you Mary. May God richly bless you Mary. I have a lot to say but for the purpose of response to this wake up call, I will be very succinct. I want to address everyone who will have the privilege of reading the whole write up and of course this response. National transformation starts from you! Yes. You. I mean YOU. 1. Do you see and feel the enormous quagmire Nigeria is in? 2. 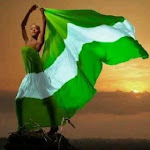 Do you believe Nigeria can be transformed? 3. Are you ready to pay the price? 4. Are you ready to start now by adjusting some of your lifestyle, mindset and activities? 5. Will you join the crusade today by passionately inspiring others towards change? 6. Will you contribute your time, talents and treasures in support of National Transformation Programs? 7. Are you ready to pray, fast and speak out for righteousness and godliness in Nigeria? If YES welcome to the network of a new breed of Nigerian change agents who will nurture Nigeria back to life and up to transformation. Shalom. Together we shall redeem and rebuild Nigeria in this decade of Jubilee. Thanks Apostle Prince! Though hope is frail, we will hold on to it still, we shall overcome! This sisSTAR, is indeed a thought provoking one, i hope it reaches as many as possible because our ''siddon look'' syndrome is terrible,Kudos!I will definitely share. Please share and share Ellen. We need many sleeping people to wake up and join in the crusade.